The Sicilians have a proverb, Casa quantu stai e tirrinu quantu viri (“Home for as long as you need to be, and land as far as the eye can see”), that seems apt as we leave Palermo airport and speed East. Our destination is Castelbuono, a quaint little mountain town that’s a two-hour drive along the coast before heading inland, up twisting mountain roads full of hairpin bends, vertiginous drops, and driving that strays dangerously close to careless. It’s home to Ypsigrock Festival, a boutique event that’s celebrating its 20th Anniversary, and while it may be small, it most certainly is beautiful. Nestled in the hills in the shadow of the majestic Parco Delle Madonie, the town and its eponymous castle date from the 14th Century, when it was constructed by order of Count Francesco I of Ventimiglia. Blending Arab-Norman and Swabian features, the squat square building has a solemn, regal air, and dominates the central square. Inside, the Capella Palatina is every bit as enchanting as you’d imagine; full of stucco and gold leaf, it has a grandeur befitting its status as the seat of power for one of the most influential families in Sicily's history. It also houses the skull of St. Anne, the mother of the Virgin Mary, a fact that’s acknowledged by the locals with a lackadaisical shrug; just about every corner, square, and chapel here is drenched in historical significance. There aren’t many festivals where you can marvel at 4th Century churches, donkeys pressed into service as rubbish collectors, and wander endless, charming, cobbled streets while nibbling on panettone, but then one soon learns how special, and how welcoming, this event really is. 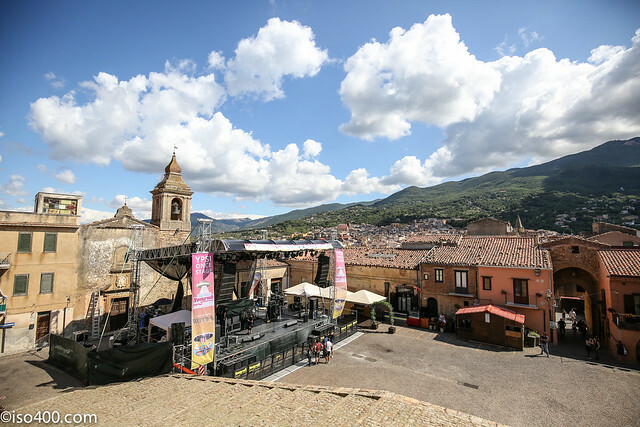 Ypsigrock has one main ethos; no band has even been invited to play here twice. What might seem an unfair limitation to place on an already small operation is actually designed to benefit the locals, as festival organiser Christoph Storbeck explains over beer and pizza on the first night. 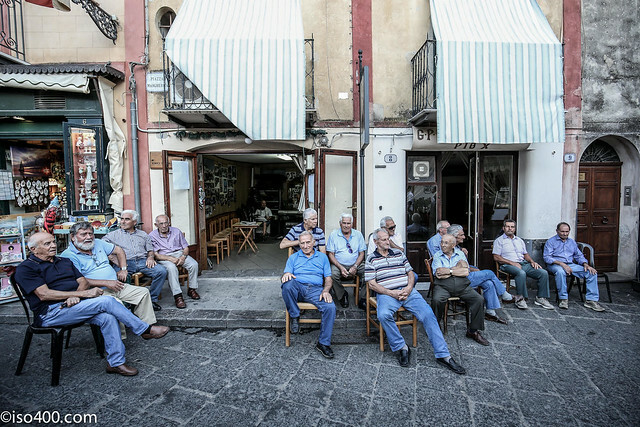 “It’s as much an event for the people who live here, and those who come from all over Sicily, as it is for the mainstream. So we want them to be able to experience as wide a range of music as possible." 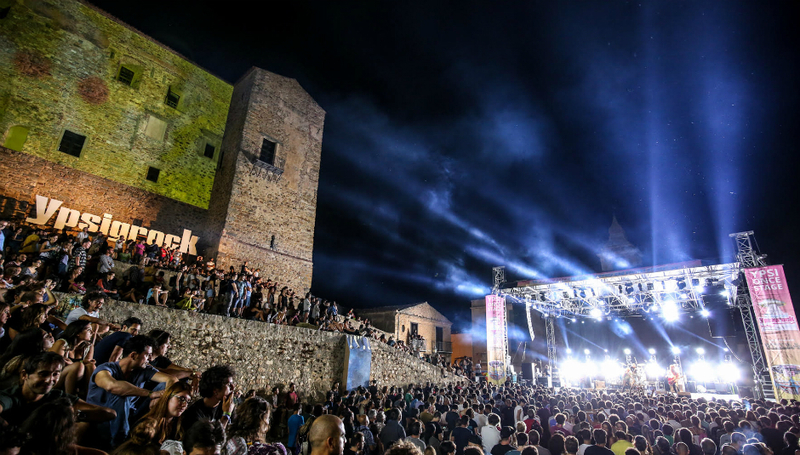 It’s a commendable idea, and one that’s seen the event grow to be one of Italy’s premier music festivals. For artists enamoured with the laid back vibe and beautiful surroundings, there are ways around this; having played here with Mogwai in 2011, Stuart Braithwaite is back with indie supergroup Minor Victories, the cheeky grin he sports all weekend a testament to how good it feels to return to this corner of Europe. The lineup certainly feels like it’s been carefully curated; how many other events would have the challenging, emotive soliloquies of Willis Earl Beal and the electro-chaos of Crystal Castles sharing a stage? 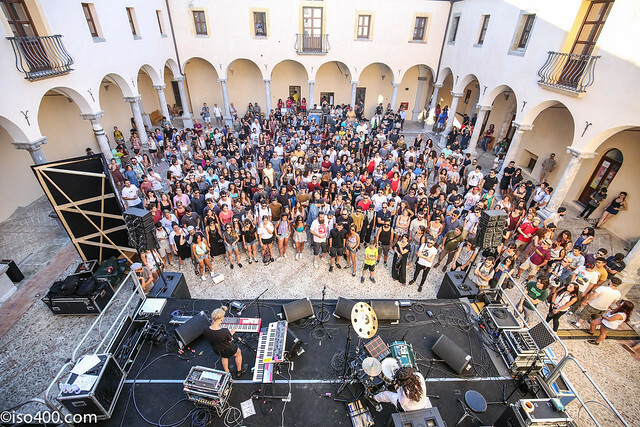 But it’s not all about Western names; Storbeck tells me the festival has become Italy’s main music event, with artists clamouring to get on the bill, and there’s plenty of national talent to admire. The sweet indie-soul-pop of Il Cielo Di Bagdad – one of Italy’s most popular acts I’m told – opens proceedings on Friday night, while pianist and composer Federico Albanese brings his wonderfully rich and affecting pieces to the Mr Y Stage on Saturday. There’s also Birthh’s sweeping euphoria and uplifting anthems, and Flavio Giurato, possibly the country’s most revered musician and songwriter. 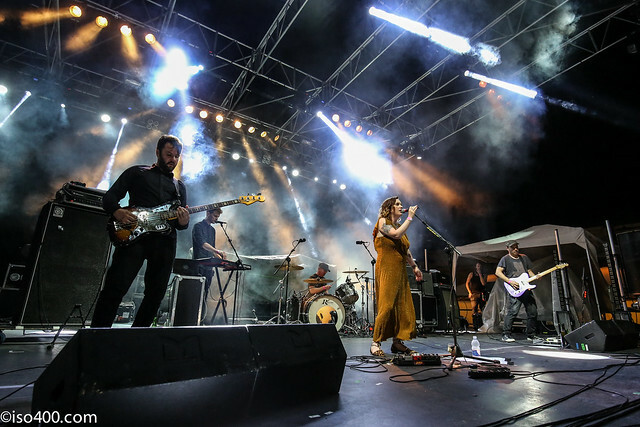 The beauty of Ypsigrock’s approach is that, in contrast to many festivals, clashes simply don’t exist; it’s possible to see every single act on the bill, and still have time for pizza and late night gelato. Each night sees a curious mish-mash of styles, and you get the sense that beyond the few big names, some of the locals don’t really know what to expect. Londoner Oscar Scheller’s blown out indie-jams go down a treat for the few who gather to watch, but he plays with a joy and a joie de vivre that’s uncommon among the uber-muso mopers that are so in vogue. Clearly, he and his band are here to have fun too; I spot them on Saturday downing shots before throwing themselves around to Crystal Castles. Oscar is followed by cheeky Liverpudlians The Vryll Society, a funkadelic five-piece whose woozy, blown out tunes go down better than their attempt at between song banter, most of which is very lost in translation. What did I expect from The Vaccines? Well, following on from their performance at Pohoda Festival, not a lot. But a more intimate setting and late night slot – they go on at half past midnight – suit the band way better, and they respond in kind. There’s a fizz and energy present that was lacking in the Slovakian sunshine, and while I’d still hesitate to call it “great”, it was a lot more enjoyable to watch them stomp through the hits second time around. One band steal the show on Friday night however, the elder statesmen of grunge showing everyone how it’s done. “We’re Mudhoney, and we play rock & roll!” announces singer Mark Arm, and what follows is a whirlwind trip through the band’s classic back catalogue. It’s filthy and raw and exciting, and provokes one of the weekend’s few sing-alongs; who’d have thought ‘Touch Me I’m Sick’ would be so well-known in this part of the world? Saturday night is slightly inconvenienced by the news that Kiasmos has had to cancel, apparently due to a bad fall. South Londoner Loyle Carner is moved to the main stage to fill the gap, and doesn’t disappoint, his eloquent prose and smooth, confessional hip-hop floating beautifully through the early evening air. He’s possessed of a rare lyrical dexterity, and it’s always refreshing to hear an artist address real life issues and strife in their art. LUH follows a similar pattern; big brash crescendos and sweeping electronica frame lyrics about paranoia and chasing impossible dreams. It sounds fantastic, Ellery Roberts proving to be an able if somewhat reluctant showman. There’s an eager anticipation for Crystal Castles that belies the problems that have beset the band over the last few years; a lot of people I speak to cite them as the act they’re most looking forward to seeing, and I hear ‘Untrust Us’ blaring out of more than one bar. That fervour grows and grows, the intermittent rain and the fact the band are 45 minutes late failing to dampen anyone’s spirits. And, in a way, the wait is worth it; the sound is absolutely colossal, as is the mega-watt light show. But Ethan Kath does little but bound around like an electrified puppet, while it’s virtually impossible to hear any of Edith Frances’ vocals – not that she’s given much to sing in the first place. Indeed, with Kath wearing a hoodie pulled tight, and Frances standing in darkness, behind a wall of light, we wonder if it’s even them. “It could be anyone up there,” notes a colleague, and he’s right. As a late night spectacle, it worked, but there was very little substance to enjoy, and the hour-long set left little lasting impression save for a ringing in my ears. 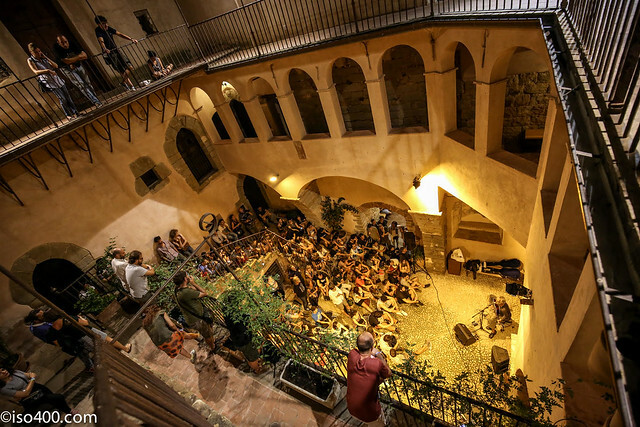 The quaint, elegant courtyard of the Chiostro di San Francesco, home of the Ypsi & Love Stage, is possibly one of the most beautiful settings I’ve ever watched live music. There’s a delay before Giant Sand take the stage, as the organisers are worried that the previous day’s biblical downpour is about to be repeated. The grey clouds pass, however, sparing us their watery cargo, and we’re left to enjoy a rollicking set of good time Americana and rock & roll from Howe Gelb & co. Full of witty asides and bon mots, Gelb is charm personified, and the tunes have plenty of punch and panache. With dusk giving way to night, Willis Earl Beal stalks the stage in near darkness, commanding everyone to sit down, and not to clap. What follows is dramatic and daring, a man bearing his tortured soul and working through his demons right before our eyes. Beal has previous when it comes to the unusual nature of his shows, but this is different; more intense, more focused, it feels like he’s found a way to properly connect. Before leaving, he admonishes the crowd to “Buy my records, because I’m a dirty capitalist!”; once gone, there’s a baffled silence, with no-one sure quite how to react. I’m sure it’s exactly what Beal was aiming for. 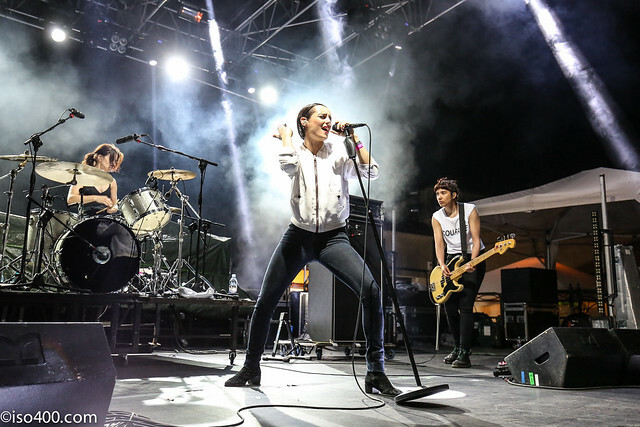 The rest of Sunday night is reserved for indie’s big hitters; Minor Victories followed by Savages then Daughter. Each band is magnificent in their own way; the moody soundscapes and widescreen sprawl of Minor Victories, Savages’ febrile, visceral post-punk, and Daughter’s winding, elegant melodies and atmospheric delivery. It’s a fitting end to the weekend, and for an event that deserves a much higher profile. Smaller, more intimate festivals are seen as something of a cliché these days, the idea being that they’re just an excuse for the middle class to avoid the great unwashed in settings slightly more salubrious than a muddy, nondescript field. But there are so many moments of joy, and of genuine warmth from the locals – and the artists present – one feels compelled to ask why such events like this shouldn’t be copied. I think back to the first night, in the last bar left open, having beers with a friend of Storbeck and Giant Sand. We’d ran out of money, and with the only cash machine in town out of order and no-one accepting cards, we were stuck. “No problem,” came the reply. “You can DJ for drinks.” To Bar Cycas, the informal nerve centre of the entire festival, where lovable rogues Francesco and Lorenzo dole out industrial quantities of local beer, Aperol Spritz, Negronis, and – if you ask nicely – free slices of pizza from their sister restaurant. And to the last night, and a lock in with Lorenzo Marsiglia, one of the festival’s organisers and fixers, in a bar that’s owned by a “friend of a friend”, blasting out hip hop and rap classics till sunrise, not a grumpy neighbour or complainant in sight. This is the way it’s supposed to be people; fun times indeed. All photos by Mike Burnell.